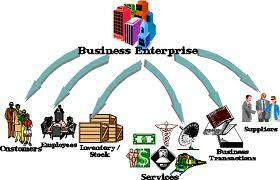 The term “enterprise” has two common meanings. 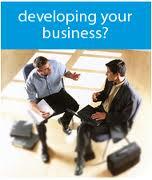 Firstly, an enterprise is simply another name for a business. You will often come across the use of the word when reading about start-ups and other businesses…“Simon Cowell’s enterprise” or “Michelle set up her successful enterprise after leaving teaching”. Secondly, and perhaps more importantly, the word enterprise describes the actions of someone who shows some initiative by taking a risk by setting up, investing in and running a business. Look again at two key words above – initiative and risk. A person who takes the initiative is someone who “makes things happen”. He or she tends to be decisive. 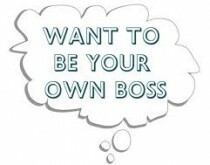 A business opportunity is identified and the person does something about it. Showing initiative is about taking decisions and being bold – not everyone is like that! Risk-taking is slightly different. In business there is no such thing as a “sure fire bet”. All business investments carry an element of risk – which is the chance or probability that things will go wrong. At the worst, the risk of an enterprise might mean the person making the investment loses all his/her money or becomes personally liable for the debts of the business. The trick is to take calculated risks, and to ensure that the likely returns from taking a risk are enough to make the gamble worthwhile. There is a lot of government support for new businesses and enterprises and here at ATASS, we will be able to sit down with you and discuss your new or improved idea and the steps you will need to take to get your idea growing and becoming a success, having an initial meeting with you where we can discuss your options and suggest ways of moving forward. The Government’s aim is for more UK entrepreneurs and businesses to be able to access the finance they need to enable greater levels of enterprise, whether expressed through start-up or growth. Growth is the Government’s top priority and every part of Government is focused on it. But we need to grow differently. Growth must be sustainable, shared and balanced – across the country and between sectors of the economy. There is a clear and active role for Government to create the conditions for the private sector to grow and remove unnecessary barriers that can stifle growth. And there is a strong role for BIS, as the Department for Growth, in enabling this. Almost everything that BIS does – from investing in skills to making markets more dynamic and reducing regulation, and from promoting trade to boosting innovation and helping people start and grow a business – helps drive growth. The Enterprise Directorate within BIS works across Government and the regions to develop and influence policies to boost enterprise, start ups and small business growth.